Rotherham has won a national award from the Government's High Street Renewal Fund. The £268,000 allocation is the largest amount awarded to any town and establishes Rotherham firmly at the front of national work to regenerate Britain's high streets. There has been further national recognition of the fact that the partners in Rotherham Town Centre, including the Council are leading the way in the regeneration of the Nation's high streets with the announcement that the town centre have been awarded a £268,000 grant from a £1 million pound government fund that was set up to reward the location or locations with the most innovative high street regeneration schemes that have demonstrated an effective transformation. The Council will manage the project, to deliver more retail-related business support projects. ┬ú 18,000 of the money is to be used┬á for disseminating and showcasing best practice. Rotherham was shortlisted based on an original application form and then a visit by the team responsible for judging the applications in February. The bid focussed on the work being undertaken to strengthen and differentiate the townÔÇÖs shopping offer, and looks to help deliver new and exciting ways of supporting new start businesses who would further contribute to this offer. Following the success of the townÔÇÖs first pop-up shop, the plans would include the development of more pop up shops (a minimum of 3) and a shared managed retail space that would allow businesses to make and sell their own items.┬á By taking anything from a shelf space to a larger kiosk within the shop, individuals can gain valuable experience and learn the art of retailing before growing further and taking the plunge to set up their own shops. As a result of the impressive progress made in town centre regeneration and the Portas Pilot initiative, Rotherham has already enjoyed significant national and regional coverage of its successes in supporting local business .┬á The proposal that won the award focused on listening to shoppers after extensive research into what they felt was missing from the town centre. 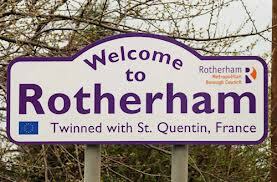 Best practice has been shared with other local authorities by supplying information and visits to Rotherham. This will continue as part of projecting the success of Rotherham as the template for other authorities. .